We understand that the decision to see a psychologist is a significant commitment. Please don’t hesitate to speak to us about your individual circumstances so that we can discuss the appropriate fees and rebate for you. Medicare rebates are available for all our psychologists once you have a mental health treatment plan from a GP. To see if you are eligible for a rebate, please call us to discuss your individual circumstances. You can then consult with your GP, which will allow you to access the Medicare rebates. Alternately, speak to us about the GPs we recommend. If you have private health insurance, you will be eligible for a rebate depending on your level of cover. We provide psychological services under the Transport Accident Commission, Workcover and Victims of Crime schemes. 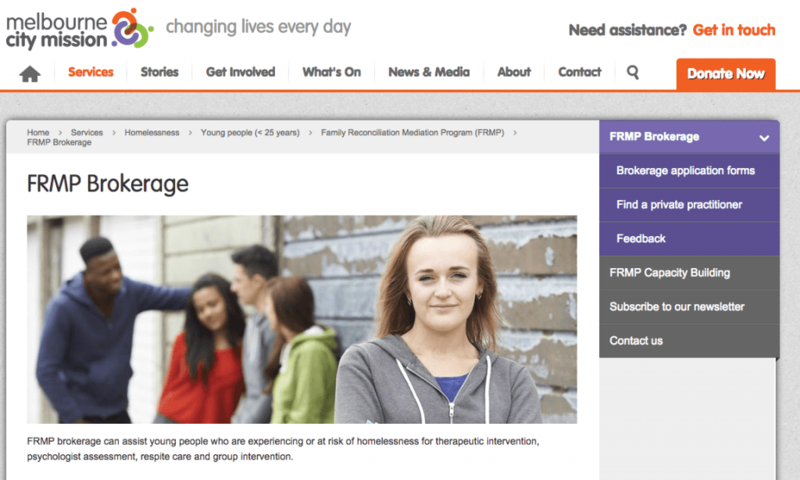 FRMP is a state-wide program funded by the Department of Health and Human Services for workers to assist young people aged 16–25 years that are experiencing or at risk of homelessness. Dean Janover is a registered psychologist with the program, allowing young people to be funded for up to 10 sessions per year.